One year ago, Dennis Manning, M.D., and a cadre of musically inclined colleagues at Mayo Clinic's Rochester campus, were preparing for a special program in the chapel of Mayo Clinic Hospital's Saint Marys campus. It was Christmas Eve, and the group was scheduled to perform before that evening's mass. "We'd developed a special repertoire of nine Christmas hymns that were a bit more unusual and interesting than most," Dr. Manning tells us, adding that the hymns "had nice choral features to them." One of the group's biggest supporters, Sister Generose Gervais, couldn't be at that performance, but she would hear about it afterward from several Sisters of Saint Francis who were. "Sisters Bernadette Novack and Theresa Hoffmann were part of our singing group," Dr. Manning says. After the performance, members of the group were so taken aback by the positive response that they suggested the nine "songs of prayer" be recorded for others to enjoy. "I thought that might be a pretty good idea, although a little ambitious," Dr. Manning admits, for folks whose professional interests lay elsewhere. Nevertheless, they decided to give it a go. 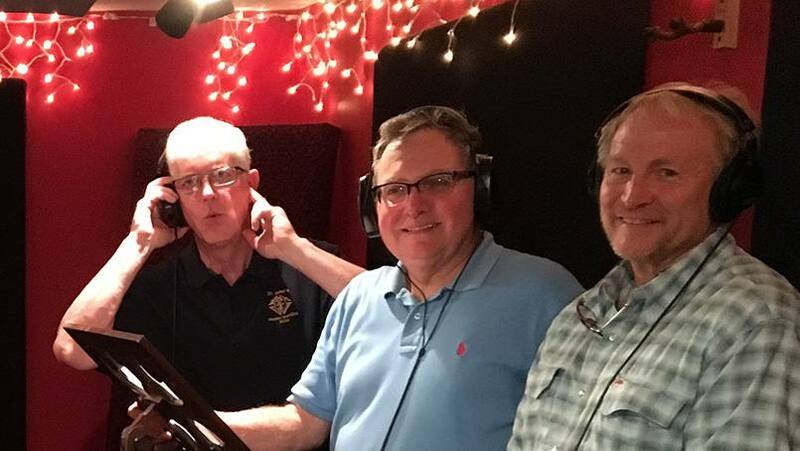 The group practiced throughout the winter, and then spring, until this past summer, when they felt they were ready to be professionally recorded. They teamed up with Jim Fricker of North Coast Productions in Rochester, who recorded the piano and organ pieces in the Saint Marys chapel. "We recorded all of the choral music in his studio downtown, and he then laid our voices over the instrumental music," Dr. Manning says. Earlier this month, the group was finally able to see the fruits of its labor when the first CDs were produced and delivered. The album features traditional Latin, French, German and English Christmas hymns like Le Sommeil de L'Enfant Jesus, O Magnum Mysterium, Wexford Carol, Magnificat, Ave Verum Corpus, and Oh Little Town of Bethlehem. Dr. Manning tells us he hopes the songs will "inspire peace and hope" this holiday season as well as some goodwill (and funds) for Mayo Clinic's Poverello Fund, a "ministry to help patients of Saint Marys Hospital cope with medical expenses." The fund was created by the vocal group's No. 1 fan, Sister Generose Gervais, who passed away earlier this year. "We're not charging for the CD," Dr. Manning says. "We decided that our best business model is to make them available as a gift. And then, if people are so inspired, perhaps they'll make a donation to the Poverello Fund in the name and memory of Sister Generose." If you're so inspired, copies of the CD are available from Sister Lauren Weinandt in the Archives/Development Office on the main floor of the Francis Building at Saint Marys Hospital, or by email at ScholaCD@gmail.com. You can also hear the group perform the songs from 3:30 to 4:30 p.m. in the Saint Marys chapel on Christmas Eve, Saturday, Dec. 24. Be sure to inspire us by sharing your comments below. You can use the social media tools atop this page to share this story with others. Thanks to Dr Manning and crew for their generous gift of time and talent that will in turn help the poor benefited by the Poverello Fund. Their CD seems to be escalating in popularity. One only has to listen to songs like Christmastide to know why.